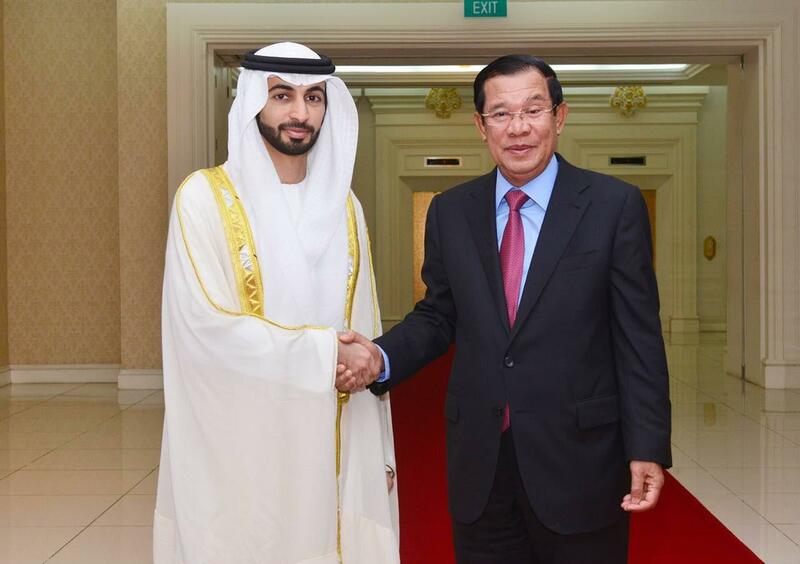 Phnom Penh (FN), Nov. 6 - The United Arab Emirates (UAE) have expressed their willingness to further assist Cambodia on economic development, particularly granting $500 million of credit line to Cambodia to import Arabian products to the kingdom, Prince Adam Amed Dalmook Al Maktuom, member of the ruling royal family of Dubai, one of the six ruling families of the United Arab Emirates, told Prime Minister Hun Sen in a courtesy call on Tuesday at the Peace Palace Phnom Penh. 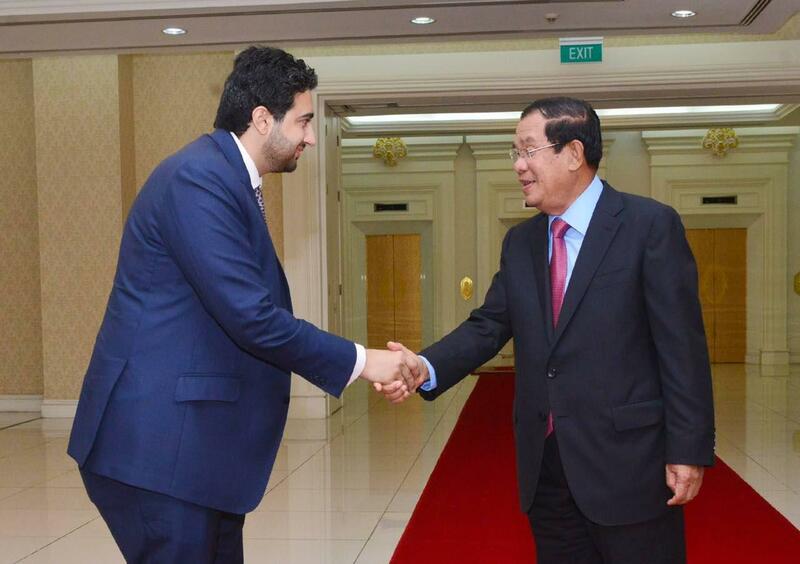 Eang Sophalleth, personal secretary to the premier, said that in the meeting, Prince Adam Al Maktuom wishes to build Cambodia-UAE relations, and assist Cambodia development by investing in gas, trade and financial sectors. 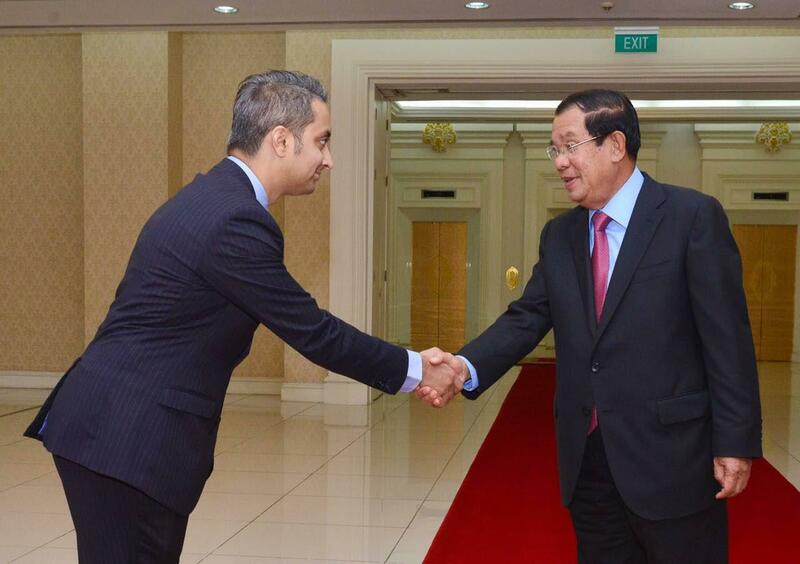 The Prince invited Prime Minister Hun Sen to visit the United Arab Emirates at his conveniences. 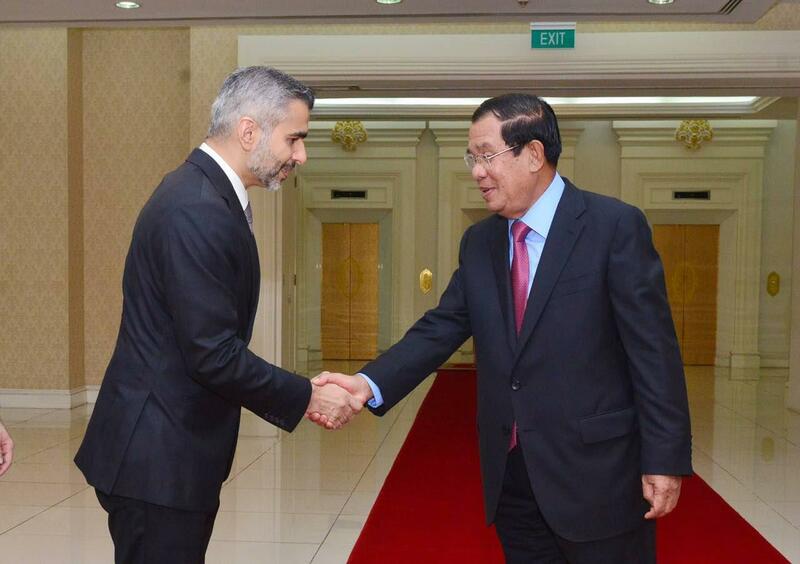 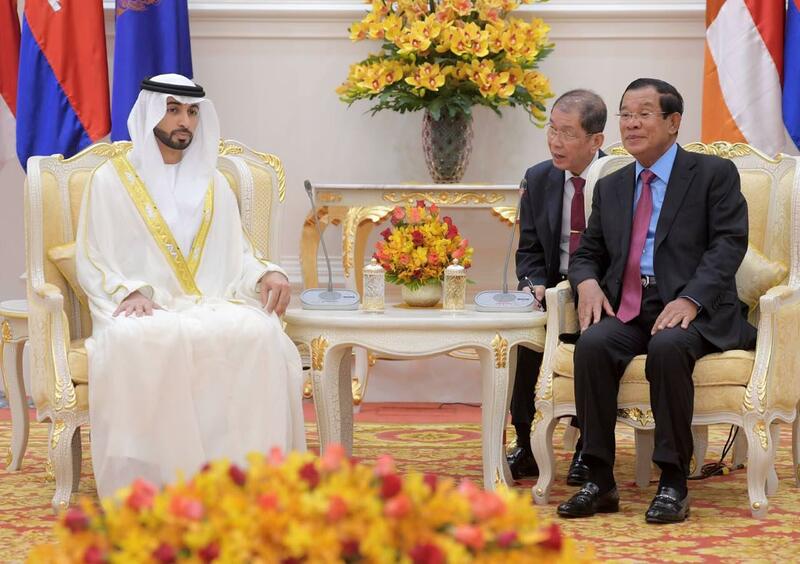 In response, the Premier Hun Sen thanked the Prince and the UAE people for assisting Cambodia on human resources development and building orphanages in Cambodia. 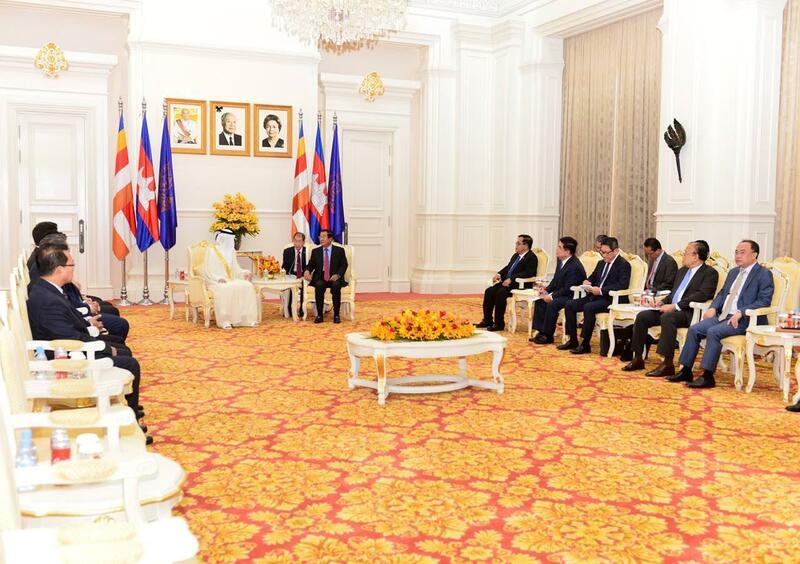 Regarding the investment in gas sector, Prime Minister welcomed the initiative. 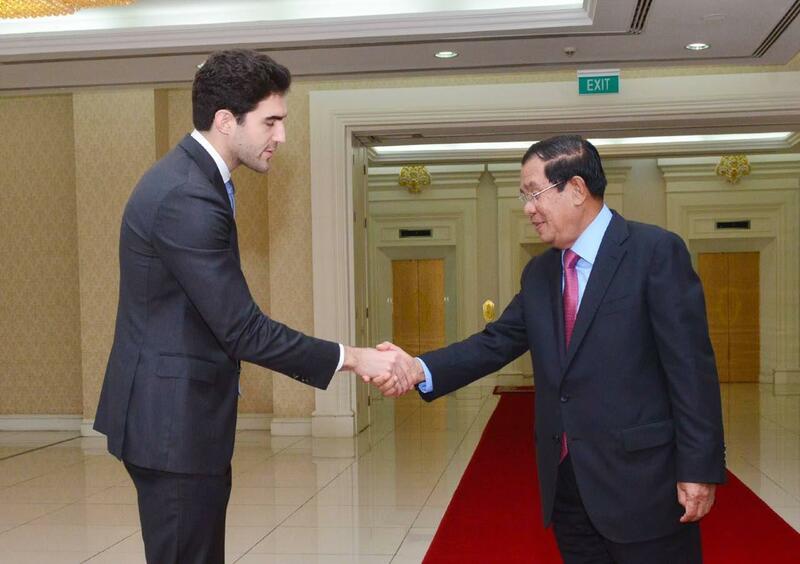 He said gas will be a better alternative to cutting down trees for firewood and that it will contribute to Cambodia’s natural resource management. 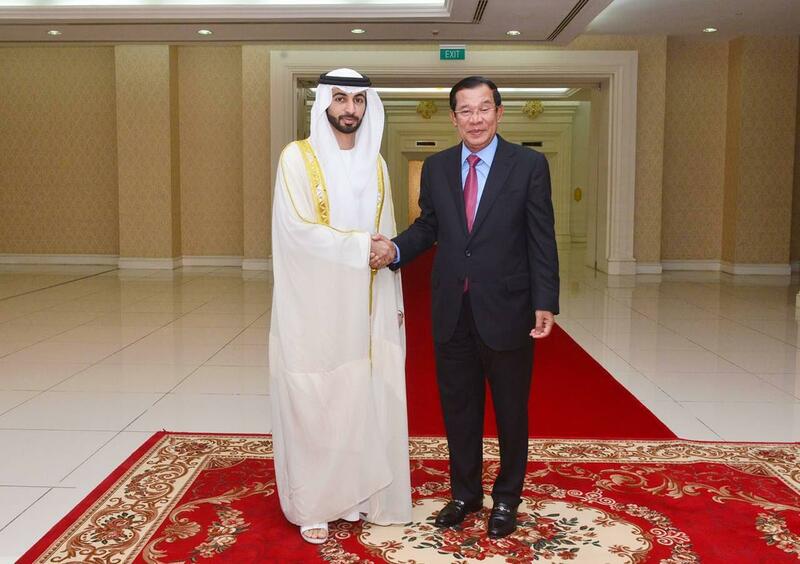 Prime Minister Hun Sen thanked UAE for a credit line worth of $500 million and pledged to find a suitable time to visit the beautiful UAE.